On a recent episode of Shark Tank, my husband and I were appalled at the things that were said. While this reaction may be common for the things that come out of Kevin O’Leary’s mouth, these comments actually came from Mark Cuban, the owner of the Dallas Mavericks (and my favorite shark), and Steve Tisch, the co-owner of the New York Giants. Check out the clip from Episode 16 of Season 5. Now I am not advocating for Cow Wow Cereal Milk, but I am wondering how these owners of these huge professional franchise teams do not know about the benefits of chocolate milk as a recovery drink?! This isn’t just something that the dairy industry is pushing; it is backed by scientific research and studies! The GotChocolateMilk? campaign is everywhere I look, so it makes me wonder how the owners of sports teams are somehow in the dark about this. The latest edition of Inside Triathlon read, “Corroborating the hype surrounding chocolate milk as a recovery tool, [Dietitian Christina] Strudwick says it’s in fact a great recovery choice. ‘It fits the ratio of three or four parts carbohydrate to one part protein pretty perfectly,’ she says. Also, it contains leucine, which is one of the amino acids that’s been shown to best help muscles recover post-workout.”1 Along with leucine, chocolate milk naturally contains whey protein, another branched chain amino acid, which has been shown to build and maintain muscle as well. Many sports bars/beverages that contain protein actually use milk solids and whey protein as a main ingredient! In the January 2014 issue of Triathlete magazine, registered dietitian and seven-time Ironman Marni Sumbal writes, “Amazingly, the same foods that boost the immune system and reduce risk for disease, such as fruits, veggies....and low-fat dairy, can also support a body that is seeking performance gains through structured training... if you energize your body with a banana with peanut butter and honey before a workout, postpone fatigue with well-formulated sport drinks to provide water, electrolytes and carbohydrates during a workout and refuel with a glass of [chocolate] milk post-workout, you are well on your way to using ‘sports nutrition’ properly.”2 Then in the March 2014 issue, Sumbal says, “It’s best to have some protein and carbs within an hour of the race or ride – a glass of chocolate milk will work. Try yogurt or cottage cheese and bread or cereal, white rice in an omelet, and some fruit for electrolytes and minerals.”3 That’s right, other dairy products like yogurt and cheese is also GREAT for you! As far as the mention of chocolate milk being removed from schools, let me address that as well. As obesity has skyrocketed in this country (and including kids), parents are looking to place the blame on something, and a parent chose chocolate milk to be the scapegoat. The argument was that chocolate milk was making kids fat, and so some advocated for it to be removed from schools. First, I’d like to say that chocolate milk provides the same nine nutrients as white milk and also tastes great. For some reason, kids and adults may believe that when flavoring is added, the nutritional quality decreases. Not true. Second, obesity is a whole issue in itself, but let’s not overlook the important role of regular exercise and a balanced diet and just pick one item to consider as the root cause. Choosing chocolate milk to be at fault and getting rid of it is not fixing the problem. On the contrary! The entrepreneur had it right when he said that kids were then drinking more soda and juice as a result, which only makes matters worse. 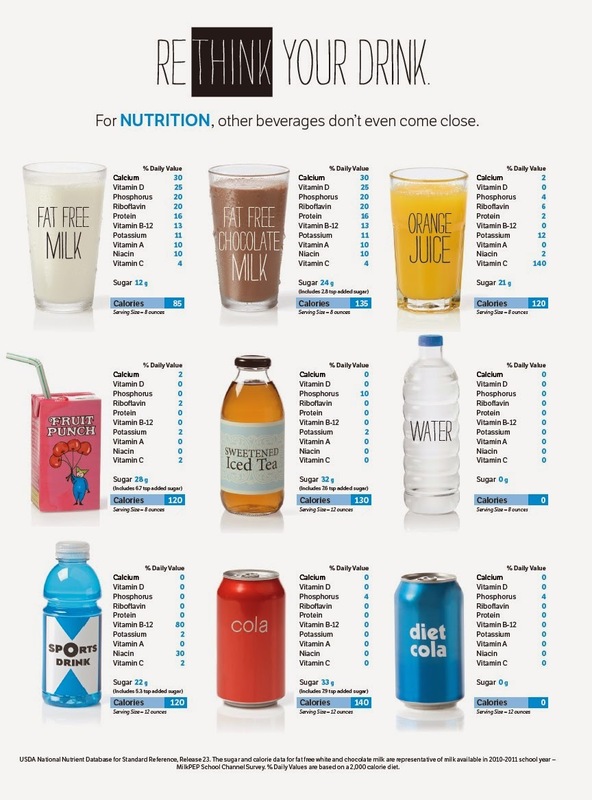 Check out side-by-side beverage comparisons: Compare Your Drink. There is also a ton of information on the site, and it provides the research behind chocolate milk as a recovery drink. What about basketball and football players specifically though? Let me tell you! New York Knicks Carmelo Anthony, one of the best basketball players in the NBA, endorses Chocolate Milk as a recovery drink. Did you catch that, Mark? 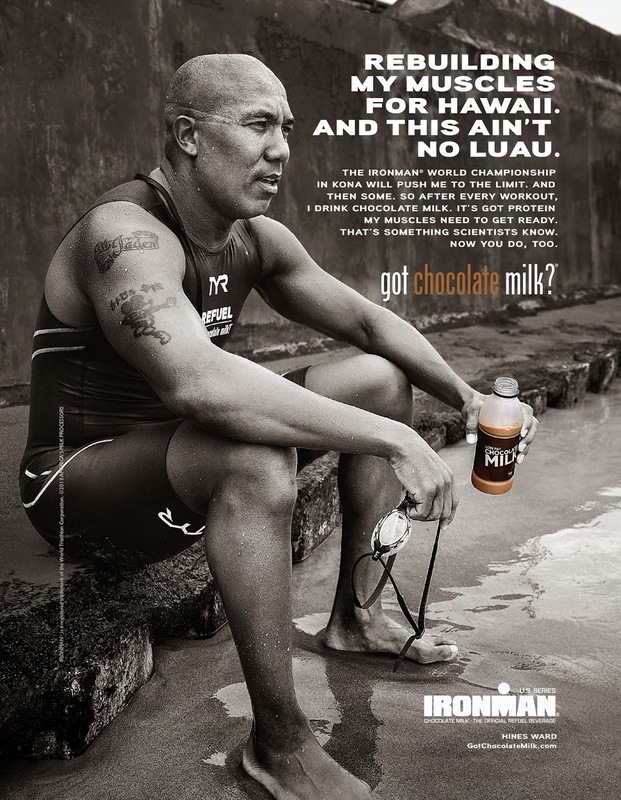 So does former NFL MVP Hines Ward, who played for Pittsburgh Steelers and is now a triathlete, and even completed Ironman Kona. These are serious athletes, undergoing serious training. They understand that recovery should be taken seriously too. So let’s educate America on what is actually healthy and beneficial to our bodies, and to the recovering muscles of athletes! And don’t worry Daymond John, teams won’t be pouring ‘Yoo-hoo’ on coaches, but Mark and Steve – I do hope chocolate milk IS in your locker rooms for after! 1. Mavis, Bethany L. "30-Minute Countdown: Refuel during the post-workout recovery window to supercharge your next session." Inside Triathlon Mar/Apr. 2014: 66. Print. 2. Sumbal, Marni. “Dear Coach: With Marni Sumbal.” Triathlete Jan 2014: 18. Print. 3. Beresini, Erin. “Train Like a Pro: Tips and tricks from the top minds and bodies in the business.” Triathlete Mar 2014: 73. Print. 4. Bethany, Mavis. (2013, Sept 18). "How To Eat Like A Nutritionist." Triathlete.com. Retrieved Feb 26, 2014 from http://triathlon.competitor.com. 5. Bennett, Holly. (2012, Feb 8). 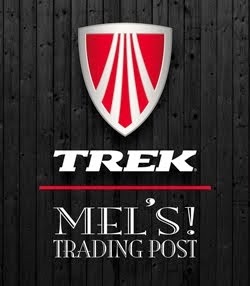 “Fuel Like a Pro.” Triathlete.com. Retrieved Feb 27, 2014 from http://triathlon.competitor.com. 6. Fitzgerald, Matt. (2010, Dec 13). “The 10 Best Protein Sources for Triathletes.” Triathlete.com. Retrieved Feb 27, 2014 from http://triathlon.competitor.com.